In this original version of “Reminiscence III” (1987), Kim Tae-Won did most of the singing. As you know, his singing voice is more than mere husky. But I think it’s really beautiful, you can feel, I can feel all of the emotion that are really meant for the girl in the lyrics. For he did compose and write this song, inspired by the girl who is now his wife. Actually, in the first video (the original version inserted in Boohwal’s second album), the “nanana” part was sung by this “girl”. 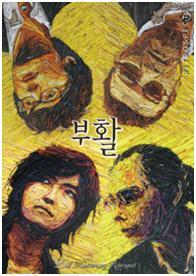 The same case with the version sung together with Kim Jong-Seo in the third video (2009). 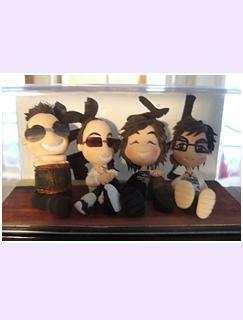 Now, question: why did I insert the third video where other Boohwal members didn’t even appear except for Kim Tae-Won? Because this is actually the very first video that I ever watched of Kim Tae-Won (I didn’t know about Boohwal then) and it was his voice which dragged me to be Boohwal’s loyal fan. Yes, I also happen to like Kim Jong-Seo, and what a coincidence that Kim Jong-Seo was actually Boohwal’s first vocalist. 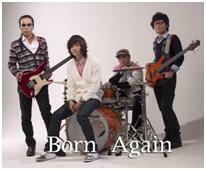 Before Boohwal released their first album in 1986, Kim Tae-Won had another band called “The End” and Kim Jong-Seo was the vocalist for this band. Thus he is one person you can’t totally exclude from Boohwal’s history after all. The fourth video is really unique. 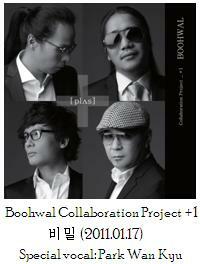 It’s a rap version of “Reminiscence III” sung by 조PD, featured in Boohwal’s 10th album [서정] released in 2005. 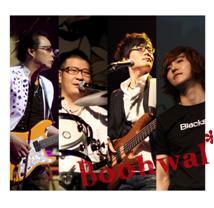 The last video was from a special album dedicated to Boohwal’s 25th birthday, in which “Reminiscence III” was sung by Mun Hee-Jun. A little bit “behind the story” about “Reminiscence III”, if I may. As I told you, the song was written and composed by Kim Tae-Won for the woman who now becomes his wife. Most part of the song was sang by him and it was inserted in Boohwal’s Second album [Remember]. But the album didn’t sell. Lee Seung-Cheol, who was Boohwal vocal then left the band for a solo career. He then remade the song and sung it solo, after re-titling it to “The Last Concert” (마지막 콘서트). 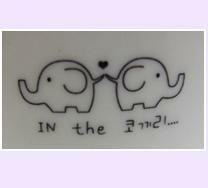 The latter song has more ballad feelings to it, with piano opening and all, and it made a hit in Korea. A lot of people now remember this song as Lee’s “The Last Concert”, despite it is originally Boohwal’s, Kim Tae-Won’s “Reminiscence III”. The song was inserted in Boohwal’s 10th album, and it was written specially for the father of the writer. Kim Tae-Won’s father was lying sick when he was in the process of writing this song. The title, “희망에게” literally means “To Hope” but it’s retitled as “For My Father” in English. Kim Tae Won’s father is now well and recovered. 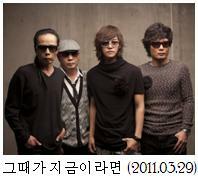 The song was composed by Kim Tae Won together with Chae Je Min, and the lyrics written by Kim Tae Won. Is it okay if I love him? If it passes, tomorrow is likely to come.. I bumped to 시간 (time) today. I’ve always liked this song, but today, I was drawn to it.. So I checked if I’ve reviewed the lyrics and it appears that I haven’t.. so I did… and I realized why I was drawn to it today..
From Boohwal’s 10th album, released in 2006. 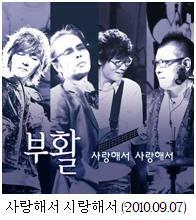 August 11th, the day Boohwal’s former vocalist, Kim Jae-Gi passed away 17 years ago. 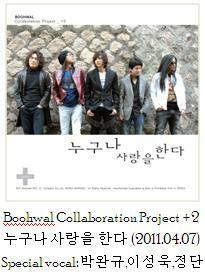 The song was composed by Kim Tae-Won and released in that very 3rd album, which Kim Jae-Gi took part. 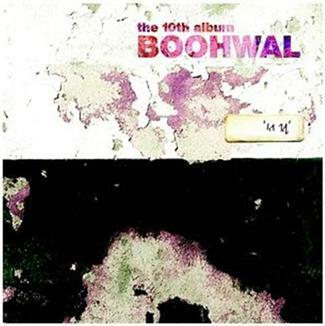 The second 8.1.1. was inserted in Boohwal’s 10th album, released in 2006. 8.1.1. opens with a spelling ㄱ, 이, ㅁ, ㅈ, 애. ㄱ,이. If you’ve got sensitive ears, you can probably can tell which Boohwal member pronounce each alphabet of ㅊ,어,ㄴ,ㄱ,우,ㄱ – spelling 천국, which means “heaven”. **ㅊ(ch), 어 (eo), ㄴ(n), ㄱ (g/k), 우 (“oo” as in boots), ㄱ (k) – read 천국 (cheonguk). 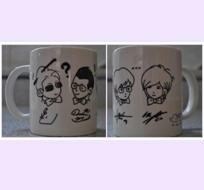 Clue: ㄴ was Seo Jae-Hyuck, the first ㄱ was Chae Jemin, and the last ㄱ was Kim Tae-Won. And as I learned from one of Boohwal and Kim Tae-Won’s best fan (^^), the spellings in the first 8.1.1 was pronounced by no other than Kim Tae-Won’s own wife, Lee Hyun-Joo (이현주).